There was a slight sense of deja-vu this Saturday morning when we were waiting the the Courthouse in Stradbroke to see if anyone would turn up! 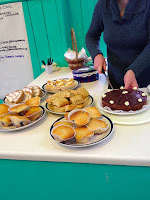 Just like two years ago in 2011 we had delivered leaflets, put it on the website, in the parish magazine and sent emails, tweets and facebook events around. But in 2011 the mood was very different. 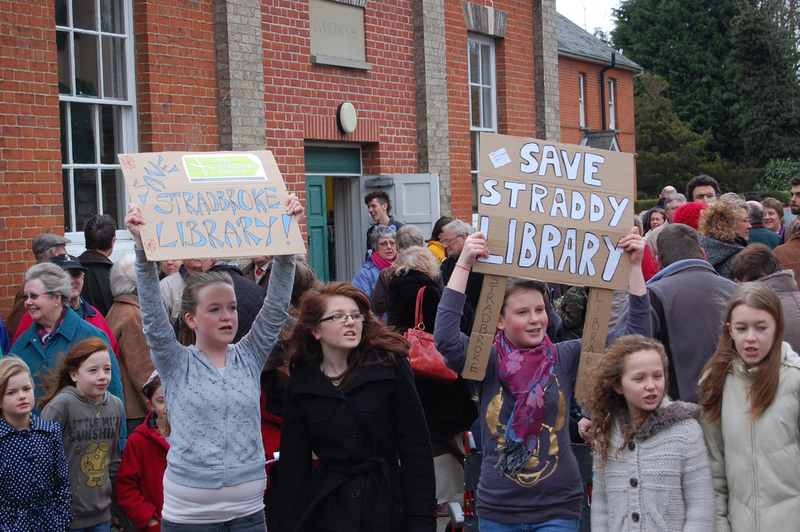 With the launch of the library consultation and the threat of closure in the air there was anger in the air fuelled by speeches, banners and chanting. 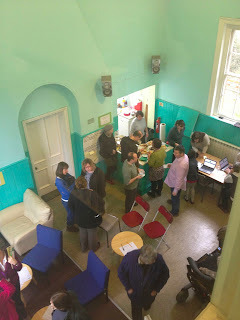 Yesterday there was interest and excitement at the plans fuelled by tea, coffee and cake! But still as many people came. 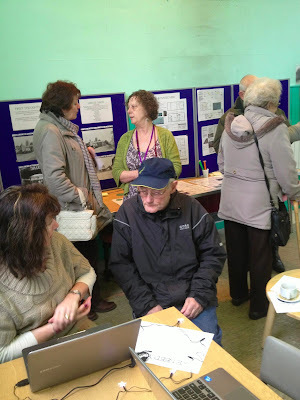 Having come together decisively in 2011 to say that the library was an important part of the Stradbroke community people came again to hear the plans to expand the use of the Court House building and to give their ideas about what the space could be used for. With building work about to start funded by the County Council in the Court House to join the downstairs large room with the Library and to re-paint and generally refurbish the room the most popular idea for the use of that space seems to be a cafe. 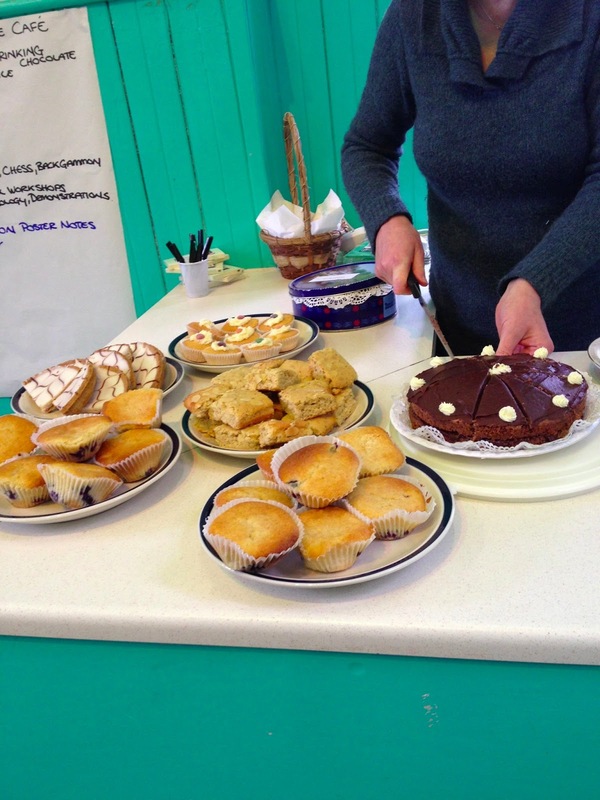 But the space is flexible enough to be used for many more things. Upstairs the Radio Stradbroke team played music alongside a book sale and were suggesting a part of the upstairs could be used for studio space for the village radio station. There is more about the plans for the Court House on the Stradbroke Village website and the consultation can be completed online or on paper available from the Library.